Right? I’m joking of course. The masters at DKCB have a lifetime of experience and were humoring me as I escaped the BS of the sport to hang out with people that make bikes and love what they’re doing. It’s good to step out of the media bubble and also get out for a ride. 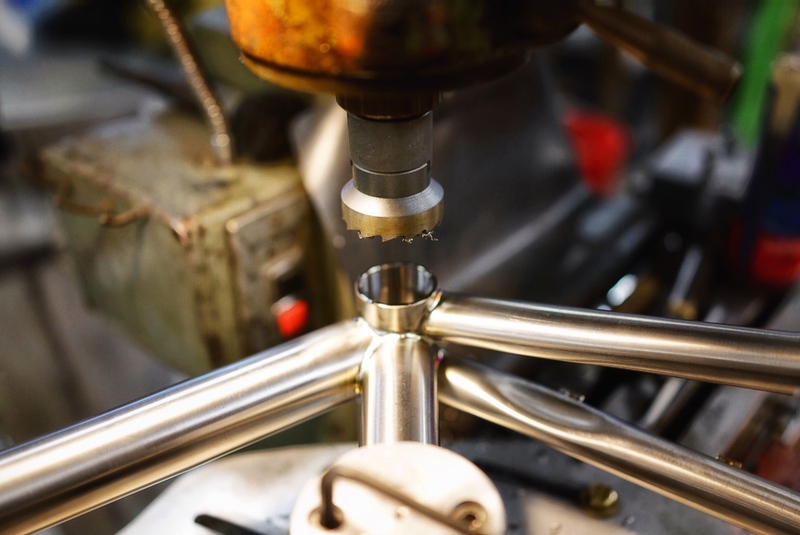 A bottom bracket is faced to accept the bearings of a crank and this jig was made by Bill for the job. Just a few minutes from Hugga HQ in Fremont. You should visit too. I can’t promise they’ll let you in the shop, but you can watch from the showroom floor.